A new subsea company is being launched at OTC in Houston (4/05/15). Underwater Integrity Solutions (UIS), headquartered in Houston, is an independent company focused on underwater integrity, production assurance and life extension for subsea fields. HitecVision, the leading European private equity oil and gas investor, has committed $150 million of equity to finance the build-up of the company. 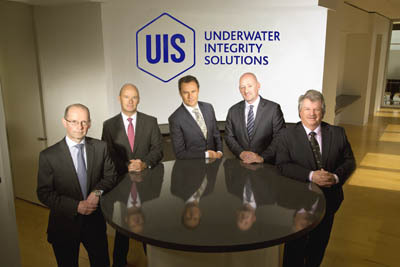 UIS has been established by five well-known subsea industry leaders with over 140 years’ combined global experience. UIS will acquire businesses, and form strategic partnerships, to build an independent and global company solely focused on integrity and production assurance with the aim of maximising the Operators’ financial return on their subsea assets over their operational life.